Select Gas Springs Instantly With Our New Online Sizing Tool – ACE Controls Inc.
We’ve made it easier than ever for you to specify our industrial gas springs. 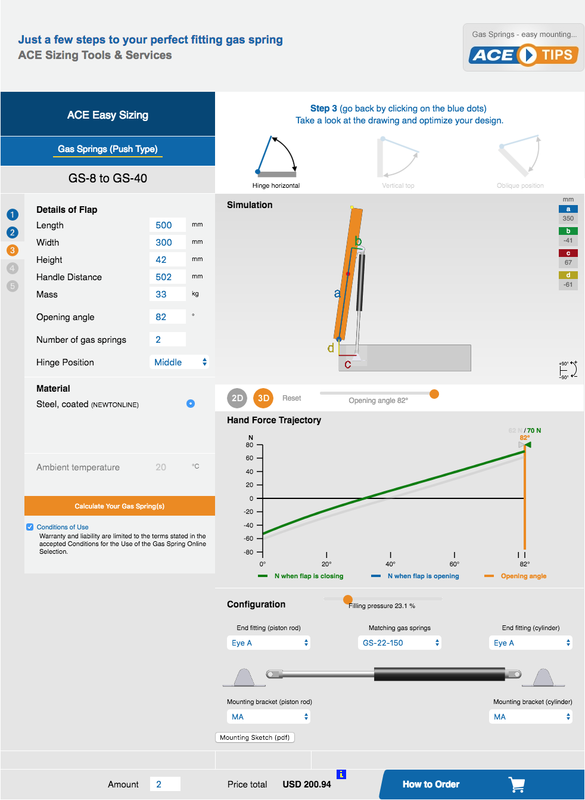 With the launch of our new online calculator, a perfectly sized spring for your hood, flap or machine enclosure is just a few clicks away. Not only that, but the time between design and delivery is also significantly shorter for most common applications. Make fast calculations 24/7. In the past, any questions about our gas springs required direct contact with one of our application engineers—a process that involved filling out a design form and exchanging information by fax or email. But our new online tool, which you can find under the “calculations” tab of our homepage, reduces this time to less than a minute. It’s also available 24/7. Explore interactive models. To properly size your spring, the tool asks you to provide the details of the flap, including the length, width and opening angle—to name a few. It then generates interactive 2D and 3D simulations, which you can rotate, tilt and zoom. Order your spring at the push of a button. Once you input all the data, the tool matches you with one of our most popular gas springs, including the model number, custom filling pressure and desired mounting accessories. You can even download a mounting sketch with all the specifications. Then, when you’re ready to order, simply fill out a contact form and one of our representatives will contact you to finalize the process. Ready to get started? 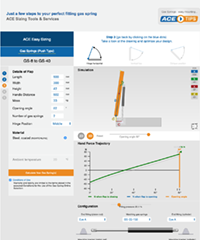 Click here to try out our new sizing tool.